How would you feel when one day you see yourself appearing on the net divulging and transacting information both familiar and unfamiliar, or damaging to you? You would feel uncomfortable, insecure, or at the least feel 'curtailed' though nothing bad has happened yet. You would want to go all out to try and nab that culprit and clear your name. Or, pay your way to freedom. Last year Apple Inc bought iCloud.com domain from Sweden-based company, Xcerion for a rumoured fee in excess of $4 million (although Apple never disclosed the actual amount). That's because icloud was seen as valuable addition to the company's business progression. Apple Inc bought its way to freedom. 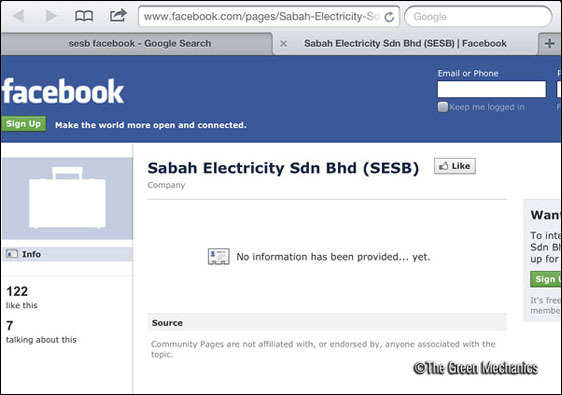 One of the facebook pages supposedly belong to SESB. This is fake according to SESB MD. 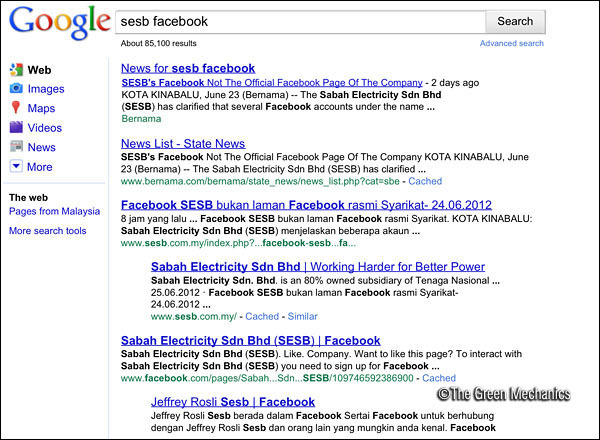 KOTA KINABALU, June 23 -- The Sabah Electricity Sdn Bhd (SESB) has clarified that several Facebook accounts under the name SESB is not the official Facebook page of the company. The existence of these accounts has caused confusion among SESB customers thinking that they are managed by the company. These Facebook accounts have been found to be not updated, while providing responses that are incorrect towards comments that are posted up by customers. According to SESB’s Managing Director Ir Abd Razak Sallim, all statements put up on these accounts were not the official statement and news by the company. 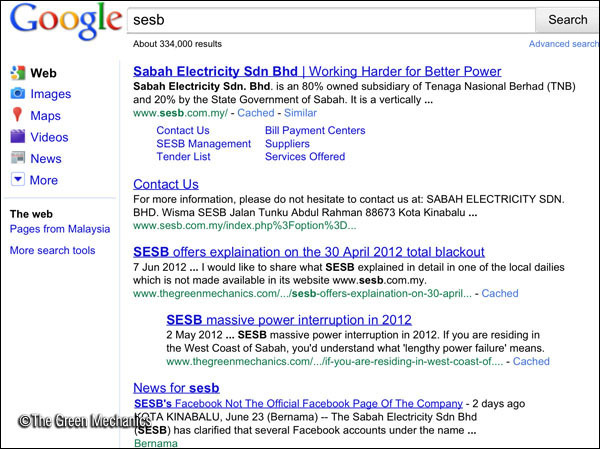 Razak said the company's official statements and updated information had been uploaded onto its official website (www.sesb.com.my) while those facing power supply problems could contact the company at 15454 or 088 515000. I wrote an article previously pertaining to SESB's new website and that you can actually submit your complaints and grouses directly to SESB boss himself. Rather than wasting your time commenting on such fake facebook account, why not email the boss himself, agree? You maybe skeptical about a boss even looking at the tiny little email you send to SESB. I had a chat with one of SESB's staff in Tuaran the other day but I am keeping to myself what I gathered regarding such move by the organisation's head. You have a doubt, the best way is to try sending an email. Of course send one with genuine complaint in it. I'm waiting allowing for regarding the sure of Euro 2012. All spoke fro Ukraine - a be!